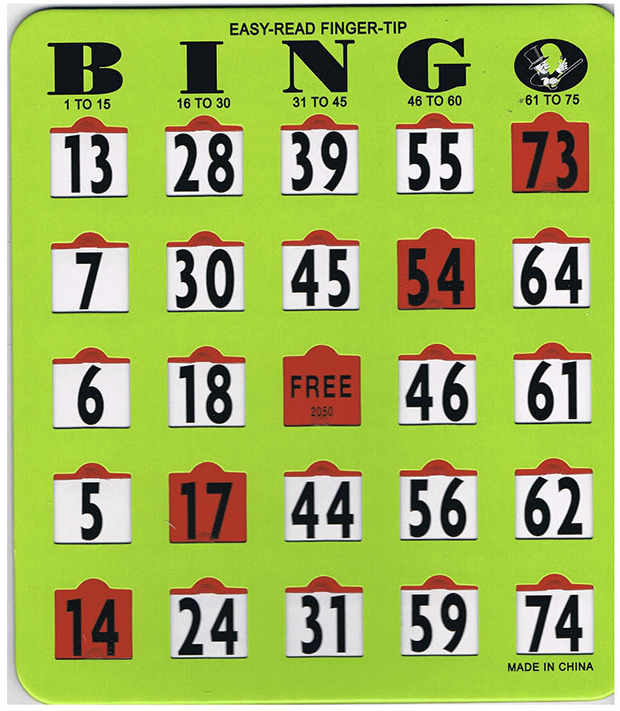 With our deluxe transparent red plastic slide window Bingo Shutter Slide Jumbo Cards, a flick of the finger marks the number and are great additions to your bingo event. Extra heavy shutters with large shutter handles require less effort and dexterity to slide. This large number card is easy to read and is ideally suited for the visually impaired. Each Card Measures 8 x 9 inches. Numbers are 3/4 inch high. Made of extra durable cardboard with no duplicate cards.